Check out the start-to-finish progress pictures of this project Southern Exposure Landscape Management installed in Greensboro, NC. 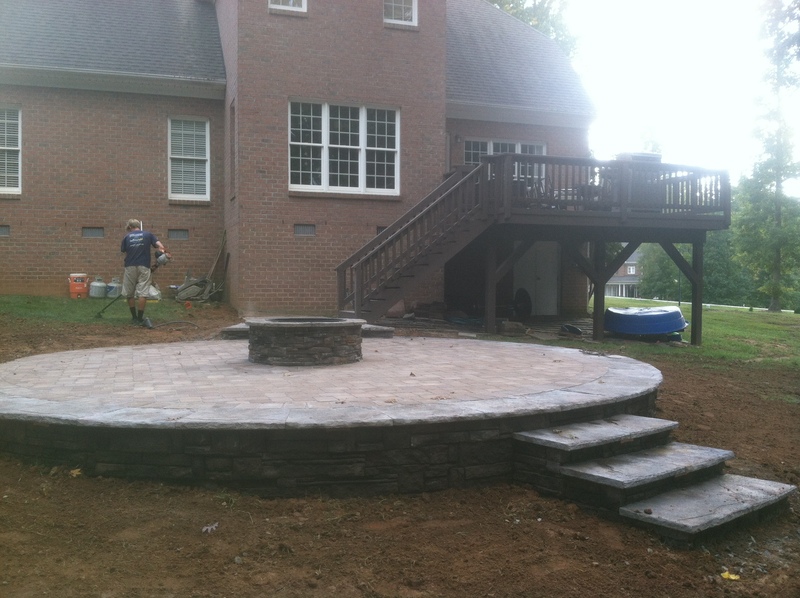 This project included a circular patio, elevated by a stone wall on the lower side. 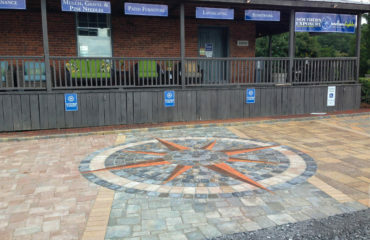 Steps were added to give safe access to the lower yard. A circular firepit was added to the center of the patio for year round entertaining and relaxing. The crew had an extra foreman for the week and they didn’t mind one bit. In the front yard, the existing mulch bed surrounding the culvert wall was continually eroding and washing away. We installed a small decorative wall on each side of the drive and added river rock at the base of the pipe to create an attractive riverbed. Finally, the crews replaced the mulch with pine needles to help prevent erosion and pine needles are less likely to wash away compared to mulch when placed on a slope. The new walls really improved the curb appeal as well as help in keeping eroding debris from clogging the culvert pipe. *ICPI and SRWI certifications can provide the homeowner, contractor, or developer assurance that their projects are designed and installed properly. These certifications cover: concrete pavements, permeable interlocking concrete pavers (driveways, patios, walkways), grid pavers, brick pavers (driveways, patios, walkways), concrete paving slabs, and retaining walls.